A combination of a rural lifestyle steeped in history and time forgotten villages. Fresh and clean air, fields of green and gold. 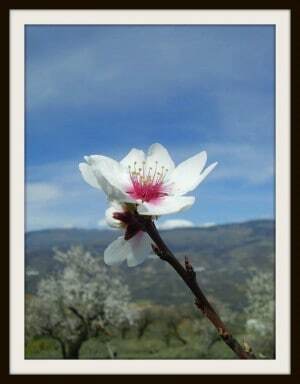 At the moment, the sight and heady scent of Almond blossom is everywhere – a rich honeyed scent letting you know via your nose that spring is ready to break out and cause a riot. That’s just the picture. The frame is stunning, the giant peaks of Mulhacen and the rest of the Sierra Nevada surround this land, opening up to the glistening Mediterranean far below and Africa in the distance. Steve, you might arrive by Mule, as did Edward Fitzgerald “Gerald” Brenan, the British writer who spent the 1920’s here in the little village of Yegen. (Don’t follow his footsteps too closely though, he managed to knock up the maid) Reading material for your visit? Reach down into the saddle bag and pull out a copy of his book South of Granada – a tome that’s still a bestseller today. You’ll find my own village mentioned there, Murtas. Brenan talks about it with a less than fond memory – a flea ridden hostel and terrible coffee. Today though, you’re in luck, stop at Café Bar El Pinche behind the largest church in the Alpujarra , and Patricio or Inma will serve you the best coffee this side of the Sierra Nevada. Lunch too, a leisurely affair at a decent price – and always a chat with the friendly locals. 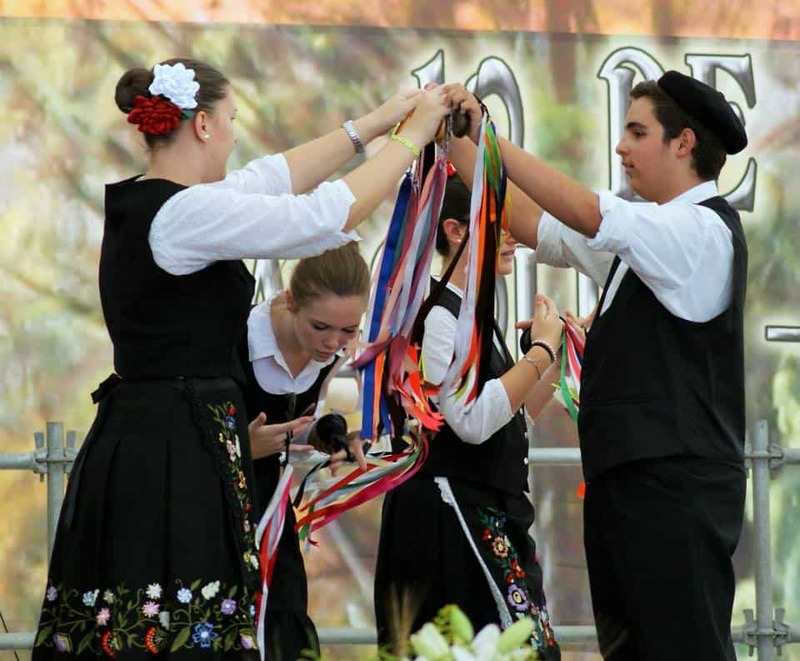 You might hear music – it’s not the excellent local Vino playing tricks on your mind, but traditional Trovo – you’re in the birthplace of this type of music, and the local kids (including my daughter) all learn to play and dance with castanets. In fact, they take first prize in their category every year at the Festival de Música Tradicional – this August it will be held in Albunol, if you fancy a return visit. While we’re discussing options for lunch, there are couple more recommendations. Nearby Ugijar (35kms is practically next door around here) and a visit to Pepe Aguado’s will find you the best homemade pizza around. What about a Bodega tour? The sprawling Cuatro Vientos is just a 4kms stagger from Murtas, on the vine-filled slopes of the Contraviesa, and if you arrive at the weekend they’ll throw you the key for a wander around their cavernous Bodega. Food is pretty good too – all grilled over Almond-wood fire. Need more culture? 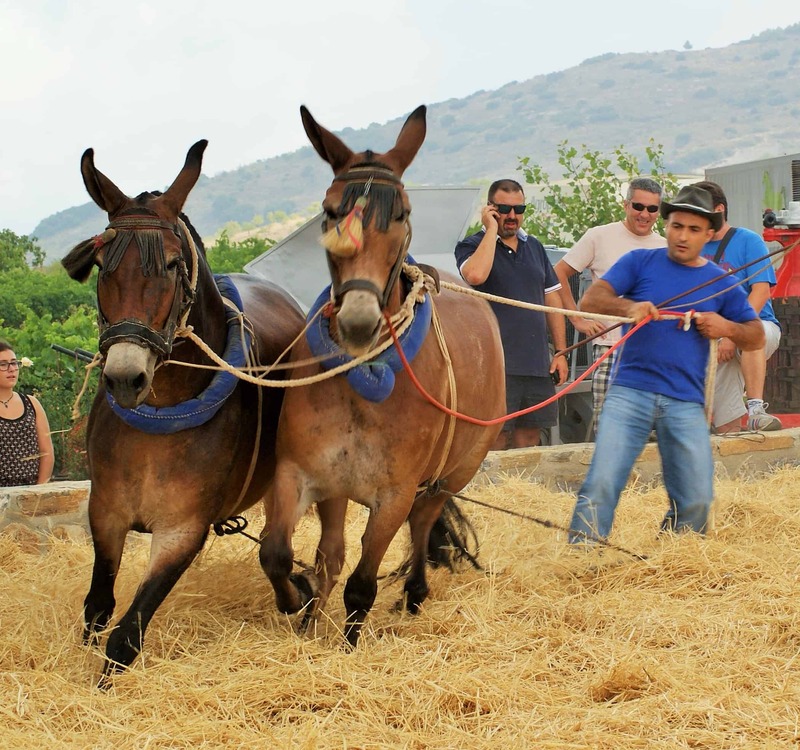 You might even catch one of their traditional threshing days. 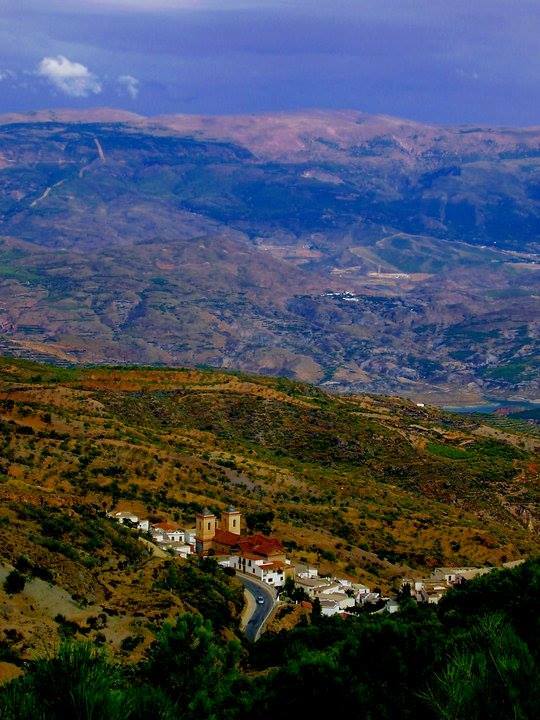 Explore the higher villages of the Alpujarra. 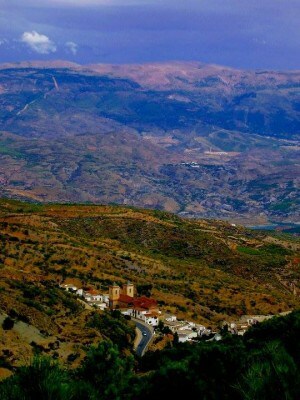 The three villages of the Poqueira valley: Pampaneira, Bubión, Capileira. You might imagine you’re in Switzerland, not Spain. 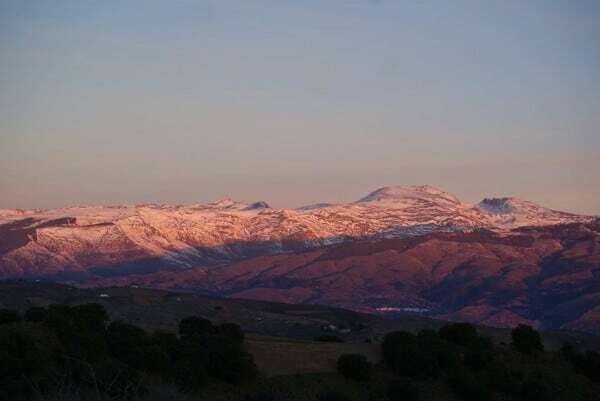 Time stands quite still as the sun slips over the mountains, turning the snowy caps a luminescent pink. The spirals of grey wood-scented smoke curl into the still and cold air. Tie up your Mule and creak open a bar door, take a seat by the fire….maybe just a few days more…well, you were warned! Carol Byrne, originally hails from Dublin, and publishes articles and content about her beloved Spain, particularly the mountainous region she has lived in for almost a decade. She also writes about and reviews organic and natural beauty products and lifestyle. 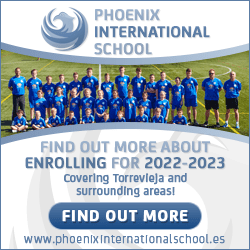 Carol blogs about her family and Spanish village life here and also here.